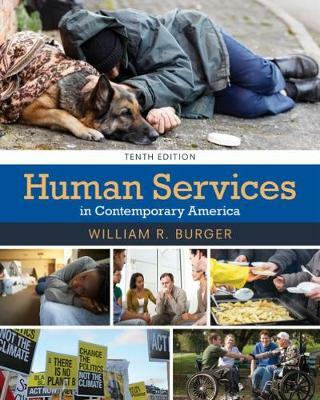 Reflecting the latest policies and practices, HUMAN SERVICES IN CONTEMPORARY AMERICA, 10th Edition uses a unique multidisciplinary approach to deliver a comprehensive overview of the helping field, its available programs, and the practical skills workers can employ. Completely up-to-date and written in a clear, non-technical style, the text illustrates how recent governmental policy shifts impact the way human services professionals work. Its presentation of the history and practice of human services through the lens of a social problems and policy perspective is truly unique. As you progress from chapter to chapter, you'll see how social, economic, and political issues may affect you as a human services worker as well as the people you serve. Practical and relevant, the text is packed with captivating, real-life examples of human services work across the country. It also provides invaluable information on selected careers within the field.